Below are all of the Emergency Food Programs provided through Food Pantries and Soup Kitchens in Sutherlin, Oregon and surrounding cities that I have located. * Note: If you are searching for Sutherlin Food Banks - Food banks are distribution hubs. They supply the food to the Soup Kitchens, Food Pantries, Shelters etc. They in turn provide that food to the individuals that need it. Food Banks do not directly serve individuals in need. Food pantry. Hours: Mondays and Wednesdays from 9:00am-11:00am. Soup kitchen on Mondays and Wednesdays from 4:30pm-5:30pm. Food pantry on Tuesdays from 10:00am - 12:00pm and 1:00-3:00pm. The food pantry is also open on the third Tuesday of every month from 1:00pm-3:00pm. Soup kitchen from Monday through Friday at 11:30am-12:30pm. Soup Kitchen on Tuesdays and Thursdays from 4:30pm-5:30pm. Soup kithcne on Sundays from 4:30pm-6:00pm. Food pantry on Wednesdays 10:00am - 2:00pm. 1st Wednesday of every month 4:00pm - 6:00pm. 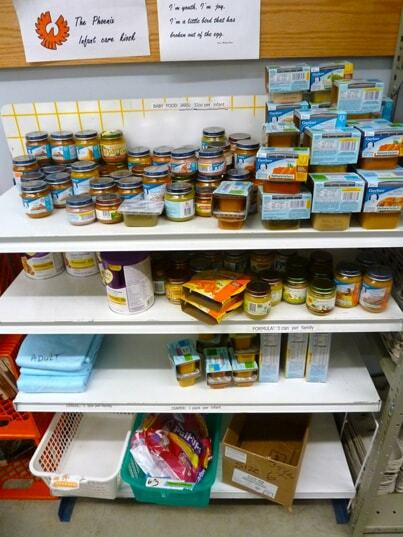 Glide Helping Hands is a food pantry. Food pantry service hours: Wednesdays 10am-2pm and 1st Wednesday of every month: 4pm -6pm. . * Make sure you check by calling the food pantry to confirm that they still are in operation and the hours as the hours have not changed. Food pantry. Hours Monday and Wednesdays from 10:00am - 2:00pm. Location: Winston Church of the NazareneFood pantry hours: Mondays and Wednesdays 9:30-11:30am. 1st and 3rd Wednesday of every month 4:30-5:30pm. Food pantry. Hours: Mondays and Wednesdays from 9:00am-1:00pm. © 2006 - HomelessShelterDirectory.org. All rights reserved.